In a manifesto released on Thursday, a group of more than 300 civil society organisations from 53 countries called on governments and financiers in Paris to keep large hydropower projects out of climate initiatives. Large hydropower projects emit massive amount of methane, make water and energy systems vulnerable to climate change, cause severe damage to ecosystems and affect local communities. “Particularly, in tropical regions, hydropower reservoirs emit significant amounts of greenhouse gases, comparable to the climate impact of the aviation sector,” Peter Bosshard, interim Executive Director of International Rivers said. “Large hydropower projects have serious impacts on local communities and often violate the rights of indigenous peoples to their lands, cultural integrity and free, prior informed consent,” Joan Carling, secretary general of the Asia Indigenous Peoples Pact (AIPP), said. “Hydropower dams make water and energy systems more vulnerable to climate change,” Himanshu Thakkar, the founder of the South Asia Network on Dams, Rivers and People (SANDRP), said. Large hydropower projects are often propagated as a “clean and green” source of electricity by international financial institutions and national governments. They benefit from instruments meant to address climate change, including carbon credits under the Clean Development Mechanism (CDM), credits from the World Bank’s Climate Investment Funds and special financial terms from export credit agencies and green bonds. The dam industry advocates that large hydropower projects should be funded by the Green Climate Fund. Many governments boost them as a response to climate change through national initiatives. At least, 12 governments with major hydropower sectors have included an expansion of hydropower generation in their reports on Intended Nationally Determined Contributions (INDCs). At present, more than 3,700 hydropower dams are being planned or are under construction around the world. As world leaders converge in Paris for COP21, there is hope for action on climate crisis. Though large hydropower projects are often presented as a “clean and green” source of energy, nothing can be further from the truth. 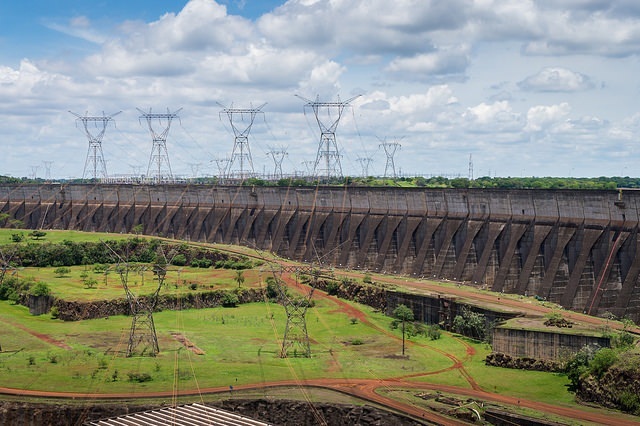 Next week, a global coalition of civil society groups will launch “Ten Reasons Why Climate Initiatives Should Not Include Large Hydropower Projects”, to let decision-makers know that large hydro projects should play no role in climate change initiatives.